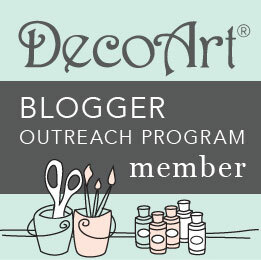 Hey, Crafty Friends!! I know there are many of you that have planners! And many of you are CRAZY over planner accessories!! I'll show you quick and easy ways to accessorize and decorate your planners!! Need something to decorate those blank pages?? 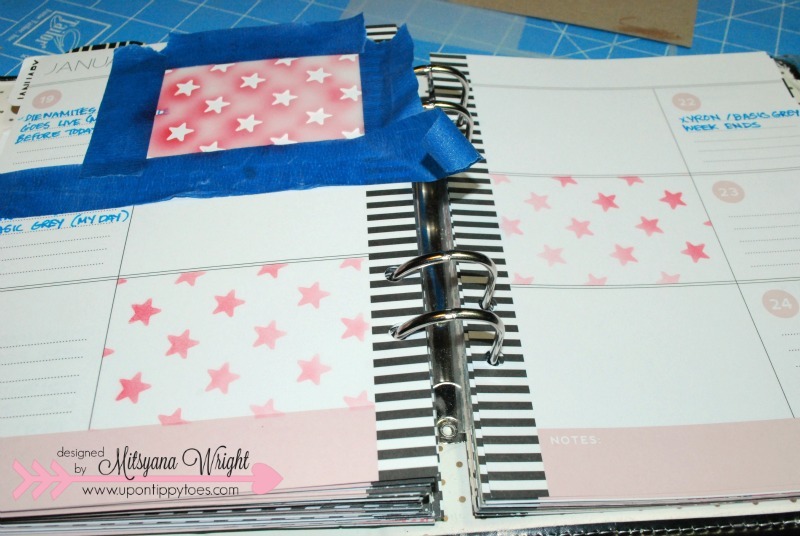 Want to turn your drab/ blah pages to cheerful/ upbeat ones... try stenciling!! 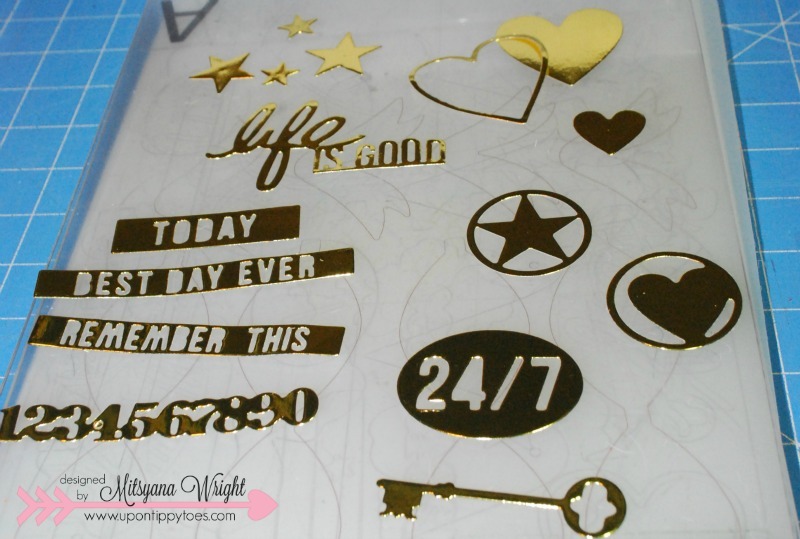 Don't have stencils handy or just can;t find one that suits your mood or personality... make your own!! 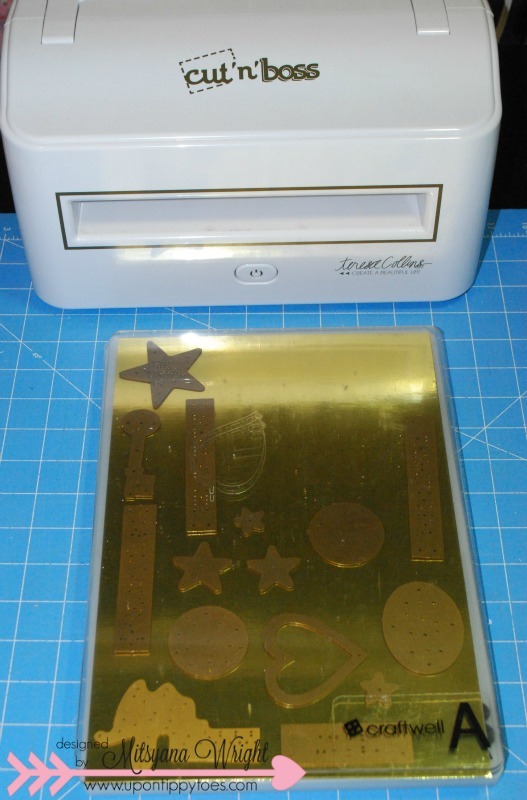 Dies make awesome stencils!! Here, I used my Teresa Collins Pocket Die to make a stencil out of vellum... 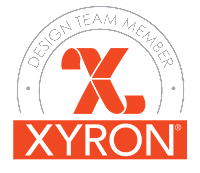 I know what you;re thinking... " Why vellum? ", right?! Well, that's easy, 1)Vellum is transparent. I can see exactly where I'm placing my stencil. And 2) Because vellum is a type of paper, it cuts easily and cleanly in my die-cut machine! Look how well it cut!! No vellum... No problem... parchment paper or wax paper will work in a pinch!! And both are transparent enough for precise stencil placement! 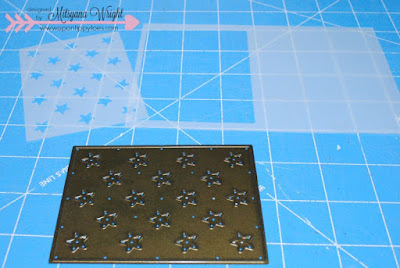 Once your stencil is cut out color over your stencil! 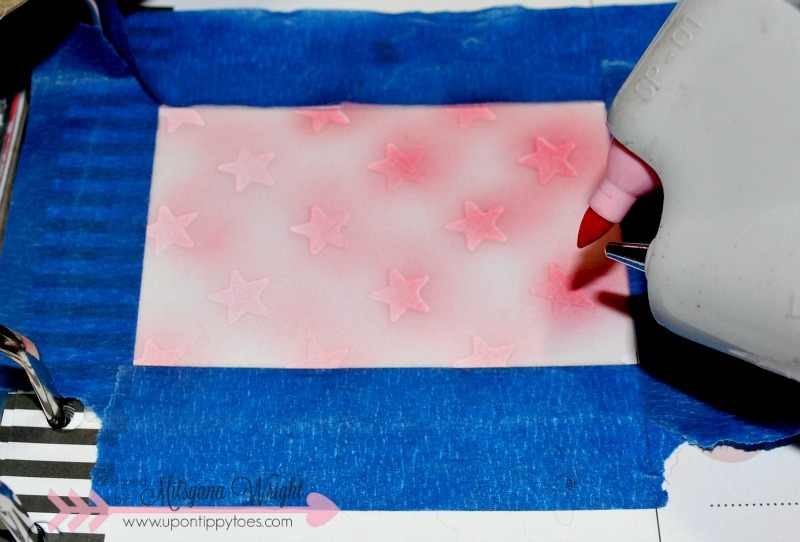 I airbrushed over my stencil using an eBrush and pink sharpie marker!! Because I only wanted my pattern inside each individual block, I used blue painter's tape to create a border around each section not to get ink on parts I didn't want sprayed. 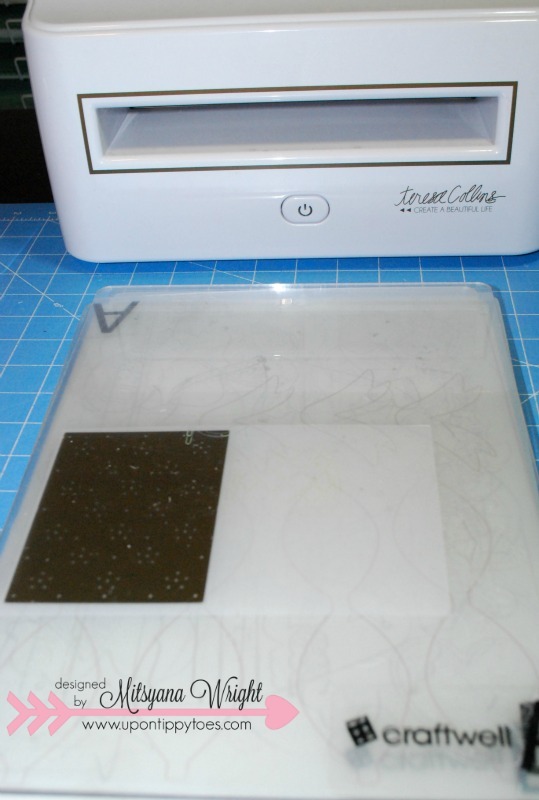 Inking with a sponge dauber or ink pad will work also. I just love the way airbrushing looks on paper, it adds a softness to my result without harsh lines. Since the blue tape is removable, I was able to move it around and use it over and over. 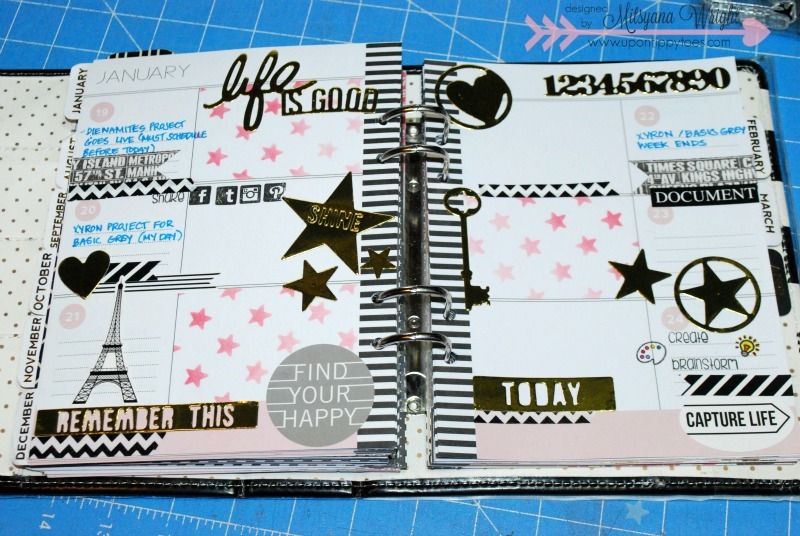 It's awesome how much more personality my pages have from simple stenciling... but I wanted to kick it up a notch and decorate my pages even more. I also made my own decorative planner stickers!! And it was easy-peasy!! 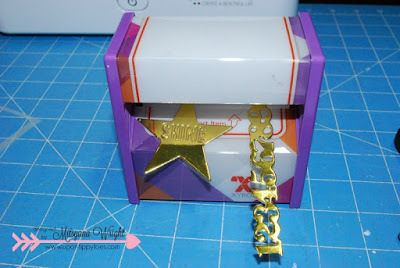 I just die cut several of my Teresa Collins Pocket Dies out of gold foil cardstock. 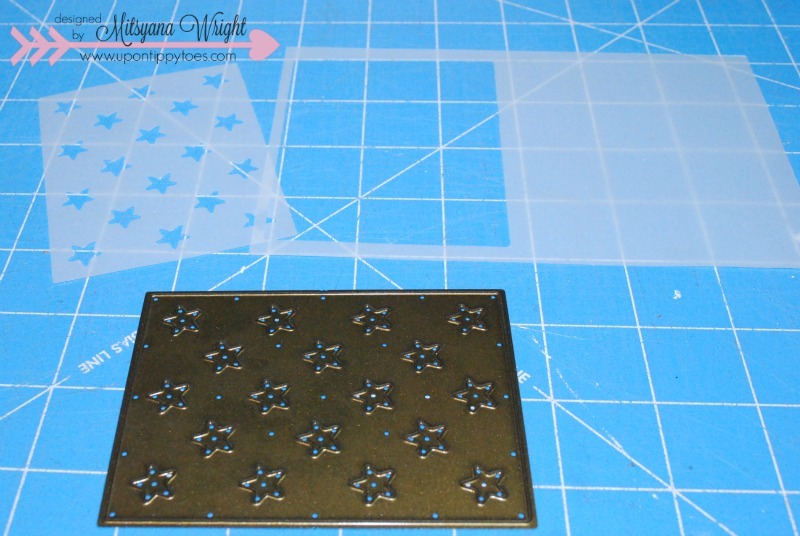 And because I used my cut'n'boss machine (that has a ginormous cutting platform), I was able to cut 14 dies at once... and still had tons of room on it to cut more! 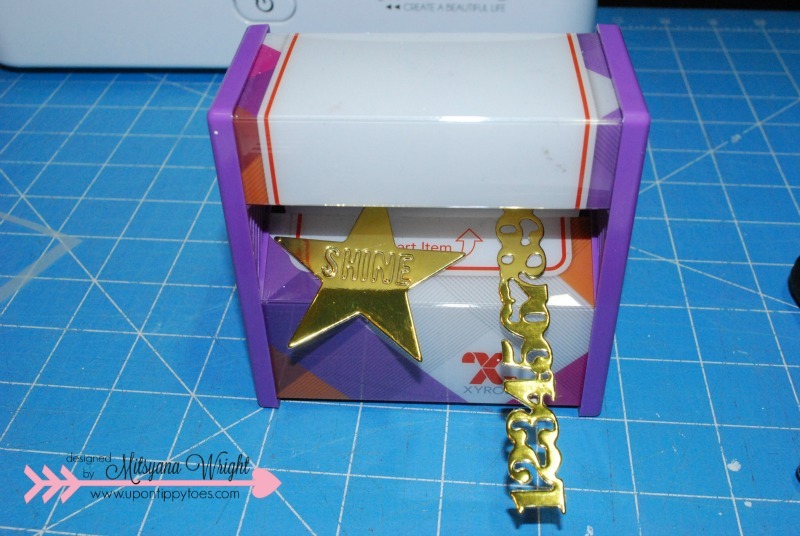 I used the exact platform combination above to cut my gold cardstock. Look how awesome these came out with that gold foil cardstock!! 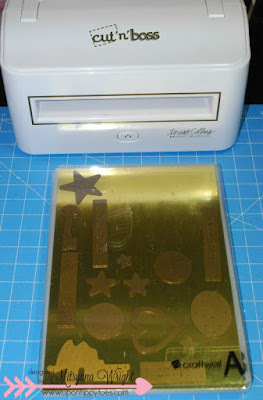 Then I ran all my die-cuts through my Xyron 3" Sticker Maker, transforming them into instant stickers!! Now, just PEEL & STICK!! 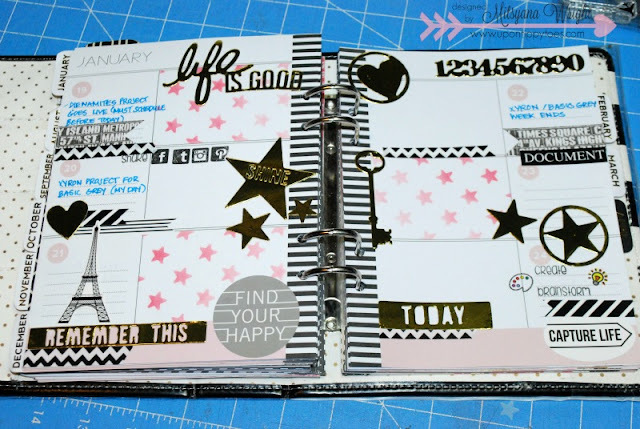 Here is a picture of my finished planner pages.. I accented my pages further by using a little bit of washi tape, some Pink and Main Planner Stamps and some Teresa Collins stickers and die-cut pieces I had in my stash! At this angle you can really see the shine of the gold foil cardstock! It's is just gorgeous!! 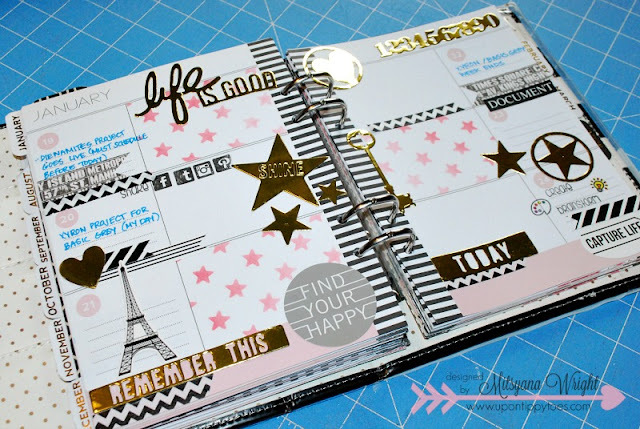 I hope you enjoyed today's project and are inspired to create your own planner accessories!! They are just too fun not to try! !